The voters gave Indians the so-called monopoly. Davis merely implemented the pact the voters approved via Propositions 5 and 1A. Yes, all those references to the Pilgrims and the Founding Fathers and Honest Abe and the veterans who saved us can get tiring. Why can't white people stop living in the past and start living in the present? Oh, wait...that isn't what you meant, is it? Who says they don't pay their fair share? Have you calculated how much these services cost and whether the millions the Indians pay is sufficient to cover them? If not, I guess you're just whining without any facts to back up your position. When you do your calculations, be sure to include all the taxes Indians do pay. And don't forget the employment and business opportunities casinos create and all the taxes THEY pay. Sounds like a racist stereotype—unless you also complain about white corporations and capitalists and the harmful effects they have on society. Do you? Most of the income from casinos goes to social services for the people living on the reservations: education, health, law enforcement, and so forth. Which is what the Indian Gaming Regulatory Act mandates. Even the tribes that give their members payments after they take care of the social services are doing so to lift them out of poverty. How is that greedy? You seem to have some idea of how much is enough and how much is too much. So fill me in. How much can an Indian earn annually and not be greedy? Please give a specific figure (rounded to the nearest dollar). See Greedy Indians for more on the "greedy Indian" stereotype. If you mean they listed every stereotype and mistaken idea about Indian gaming, you're right. Actually, the dozens of responses to the Time magazine articles said it all. 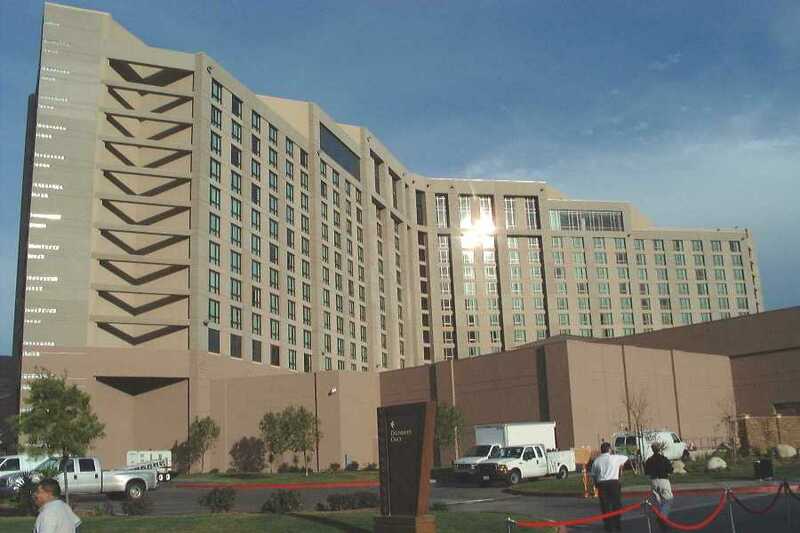 See Responses to TIME's Attack on Indian Gaming for details. Yes, since I read the news every night on PECHANGA.net and other sites. Whatever that means. Could you be more specific? And I won't be getting any clues from you, I gather. What a surprise: the umpteenth person who makes wild accusations but can't back them up with facts. And what's that? Brulte's proposed legislation? I wasn't aware "the Indians" dictate Brulte's moves. I'll ask him about it the next time I see him. I haven't heard "the Indians" proposing much lately. Mostly it's Governor Davis who's doing the proposing. In fact, several tribes have said they'd be happy to stick with the present compacts "as-is." Some gaming tribes are ready to negotiate. Others are holding back. So who are "the Indians" you're referring to? They're hardly a monolith, as a casual reading of PECHANGA.net would reveal. And you say *I* don't have a clue? That's funny. What our legislators are doing is called democracy. I suggest you get used to it. If you don't like it, you can work to elect new legislators. Or spend a couple years and several million dollars passing an initiative. "The Indians" did it, so you can too. This bill wouldn't increase Indian gaming. It simply reiterates what we already know: that a state can't regulate Indian gaming unilaterally. Why? Because Indian nations, like states, are sovereign governments. If the state wants to limit gambling as much as possible, why shouldn't it? If you're in favor of unlimited gambling everywhere, just say so and we can discuss it. And why not, since it was a good idea that would've protected Native religious rights while limiting destructive development? But at least it proved "the Indians" don't control the legislature or the governor. Another stereotype shot down in flames. Nothing new here. The "facts" and opinions in this article are well-known to me and everyone in Indian country. The tribes aren't responsible for the shifts in federal Indian policies toward them. I'm sure they'd be happy to retain their original status as sovereign "foreign nations." Congress repudiated its termination and assimilation policies as failures back in the 1960s. That's long before tribes allegedly became political powers with gaming funds to throw around. I'm way ahead of you on the "Indians as welfare recipients" argument. In fact, I've addressed it so often I have a page devoted to the subject: Indians as Welfare Recipients. Learn how easily one can dispute and dismiss arguments like Darrel Smith's. Smith's article was published in 1997, before Indian gaming started raising the standard of living on many reservations. Now tribes are doing what Smith would like them to do: raising themselves by their own bootstraps. The references to the Standing Rock Indian Reservation are almost irrelevant since it's only one of 560-plus recognized tribes. The references to election fraud and increased corruption are almost irrelevant since they're undocumented. If one of the 560 largest city governments in the US was corrupt, would that be cause for alarm? No, we'd say that was a remarkable record of corruption-free governance. So I'm not impressed with a few scandals here and there. Document how 10% or 25% of tribal governments are corrupt and scandal-ridden and we'll talk about it. In other words, there's no indication the problems are any worse than they are in non-Indian areas. The Standing Rock Sioux could send investigators to figure out how Bush stole the 2000 election in Florida, for instance. With Bush's stock sales and Cheney's secret meetings with energy regulators, not to mention dozens of sweetheart deals with corporations large and small, this administration is already wallowing in corruption. Don't even bother starting on Time magazine's "expose" last December. A few dozen commentators have dismissed it as biased rubbish. 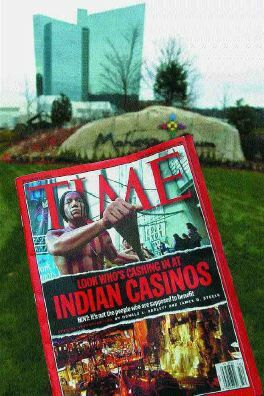 Again, see Responses to TIME's Attack on Indian Gaming for details. I'm still waiting for you to tell me something I don't know. Smith's opinion that the reservation system makes Indians "dependent" is just that—an opinion. I say the mortgage deductions and other tax breaks you get from the IRS make you dependent also. Give up the benefits you get from the government and then we'll discuss why Indians should give up their "benefits."